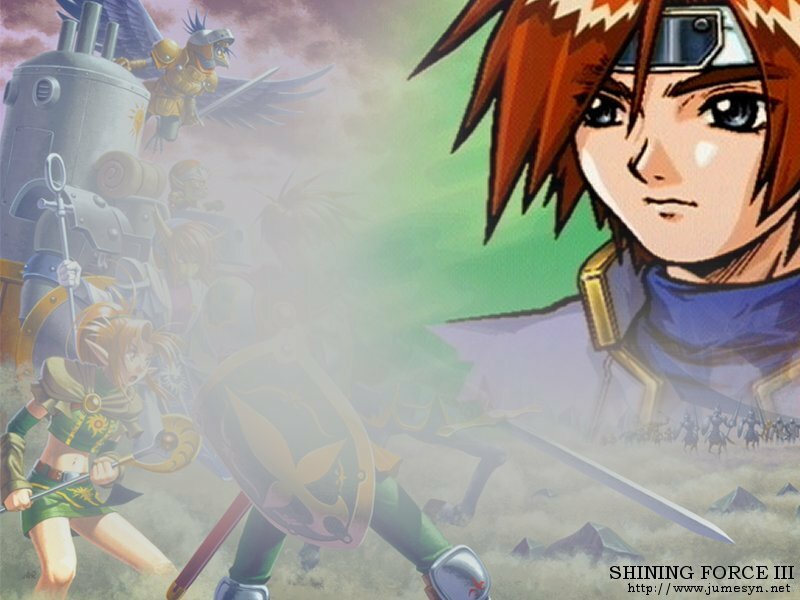 Available here are a selection of Shining Force III downloads and goodies for your computer desktop. This zip file contains icons, for use on your desktop, made from the face portraits of the characters from Shining Force III scenario 1. To use them you must first unzip the icons and place them in a folder on your computer's hard-drive. When you want to change the icon of a shortcut on your desktop, right-click on it and select properties. From the window that appears, select 'Change Icon' and then browse your computer for the folder that you unzipped the icons to, select one of them and it will appear as the icon for that shortcut. Easy as Pie! And almost as delectable too! This zip file contains icons, for use on your desktop, made from the face portraits of the characters from Shining Force III scenario 2. Use them in the same way as the scenario 1 icons. This zip file contains icons, for use on your desktop, made from the face portraits of the characters from Shining Force III scenario 3. Use them in the same way as the scenario 1 icons. This zip file contains icons, for use on your desktop, made from the enemies, NPCs etc. from all scenarios of Shining Force III. Use them in the same way as the scenario 1 icons.